Make sure to stock up before it's too late. The Monarch® Model 1136 Replacement 2-Line Ink Roller will keep your Monarch® Model 1136 2-Line Pricing Gun filled with ink for your next round of pricing. The 2-Line Ink Roller is the preferred ink replacement for the Monarch® 2-Line Labeler. 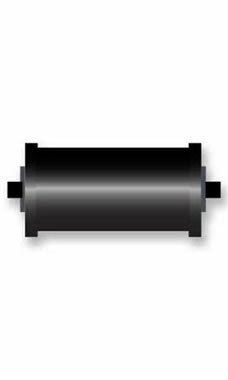 Allowing for proper ink distribution, the Monarch® Ink Replacement rollers are easy to change out, avoiding messes.